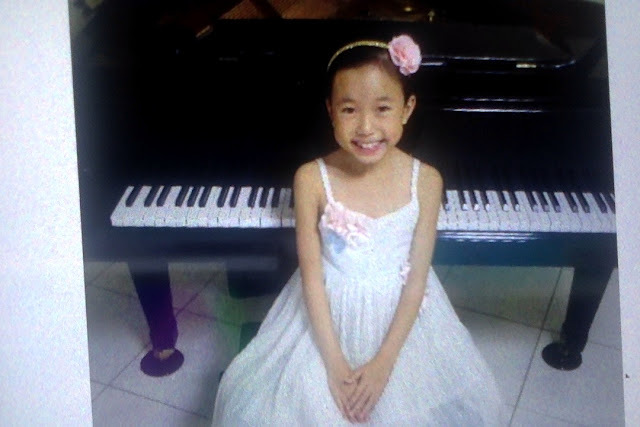 12 year old Bryzlyn Sin is a full scholarship recipient at Presbyterian Ladies College in Perth, Australia.She started her first piano lesson at 5 1/2 years old. She is currently at the (AMusA) learning stage under the tutelage of Mr Yoon Sen Lee. In September 2014, Bryzlyn was awarded the Most promising performing artist of the year at the Joondalup Eisteddfod Winner’s Concert. In March 2015, Bryzlyn achieved awards of excellence in both Piano performance and Voice & Communication at the Australian Music Examinations Board (AMEB)Awards night. She was invited as an Australian Laureate to perform at the Golden Key Festival at Carnegie Hall on 7th June 2015 and was awarded with a diploma and medal by well-respected musician George Borisov. In August 2015, Bryzlyn was one of 50 pianists to have the lifetime opportunity to perform three movements alongside world renowned pianist Lang Lang and the Metropolitan Festival Orchestra at Sing50 (Singapore's Golden Jubilee concert at National Stadium with a sold out audience capacity of 45,000) on one of fifty Steinway baby grand pianos. In September 2015, Bryzlyn performed at the Royal Music Club : The Future - Featuring the Next Generation of Excellent Young Musicians at all levels. Bryzlyn was also invited to perform at the ChildAid Charity concert 2015 on 4th and 5th Dec at Marina Bay Sands theatre, Singapore. Her performances were very well received and she was very honoured to help raise S$1.98 million for a good cause. She is also a prize winner at AADGT in January 2016 and awarded the best instrumentalist of the year at South Eisteddfod in 2016. Bryzlyn was the piano accompanist for her school choir at the Anzac Day ceremony and also at her school’s 50th anniversary celebration. She is a member of the award-winning The Bridge choir and has contributed in many community events. She is an avid performer who has a strong interest in Music, Speech and Drama. Her music endeavours was even publicly acknowledged by members of the Parliament House of Western Australia during question time.